We know this is something you didn’t know you wanted, didn’t ask for and have to certainly witness for yourself: the alternate ending of the movie Titanic. 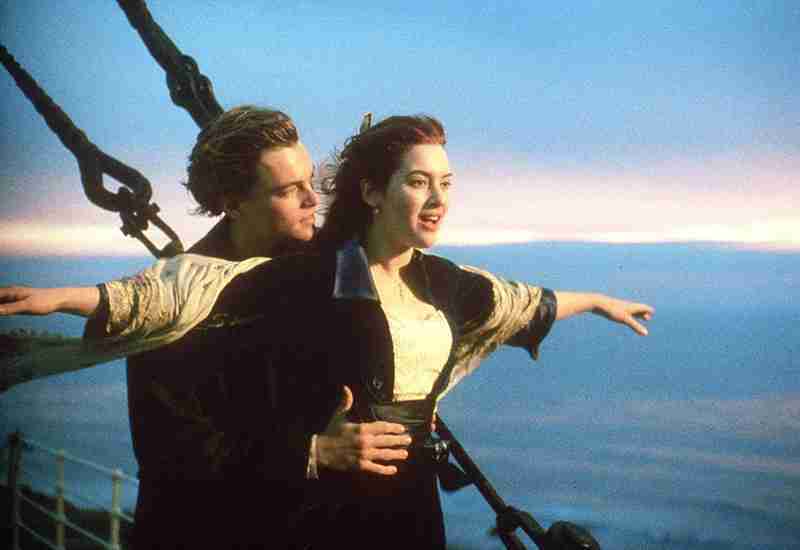 James Cameron’s Titanic was an awesome film with a sappy ending. We know it’s challenging to bring closure to a year old forbidden love by allowing Leonardo DiCaprio to sink to the bottom of the ocean with the ship. We thought there could be nothing worse ‘Titanic’ atrocity than the moment at which Rose couldn’t make some room for true love. ‘I’ll never let go, Jack”, she had said and soon after she lets go his hypothermia ridden corpse into the depths of the freezing Atlantic Ocean. Do you remember the original ending for the romantic epic, Titanic? In it, Rose drops the Heart of the Ocean necklace into the ocean as a romantic gesture since she abandoned her old life in favor of the one, she and Jack had dreamt of. After dropping the necklace, we believe that she died and re-united with Jack aboard the Titanic. But little did we know that the ending to the movie could have been worse, much worse. The scene apparently was made available as an extra on the ‘Titanic’ DVD, which was released in 2005 but the Internet found it only recently. In this Titanic alternate ending, the elderly Rose is confronted by Bill Paxton and his band just when she is about to drop the Heart of the Ocean into its grave. Thus finally having the time to share some grandma wisdom about the value of life being measured in precious diamonds. “You look for treasure in the wrong place, Mr. Lovett. Only life is priceless, and making each day count”, says Rose before dumping the exquisite gem in the ocean. No matter how much the original ending broke our hearts, its still better. Choosing not to go ahead with the alternate ending was surely the best decision of James Cameron’s career. Previous articleEbola Virus Facts: What you need to know?